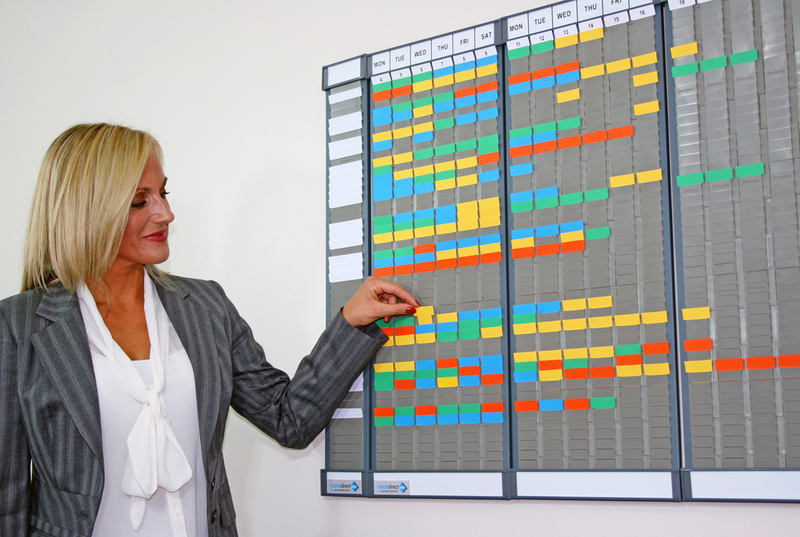 “T Cards and T Card Boards are a proven management tool to help keep track, allocate and improve efficiency. Simple, cost effective planning solutions to help staff make quicker and better informed decisions. Improving service to both internal and external customers, freeing up time and making more out of your resources. Either the Manual T Cards or the new Web Based T Card System www.tcardsonline.co.uk can help streamline your business. Keeping track of work and improving the workflow is critical and using visual displays to communicate the status of jobs is regarded as vital in any business environment. T Cards Online is a new way of looking at this old age problem. Keeping it simple for the user whilst enabling others to look, manage and improve processes. Providing information and communicating with staff and colleagues in the workplace is essential, particularly when hazards, incidents or near-misses occur which may impact on others. An effective, low-cost solution to ‘getting the message across’ is the Near Miss / Incident Reporting System available from T Cards Direct which is an easy way to manage and document health and safety issues. Managing machinery and equipment which has been isolated for maintenance or for any other reason is essential, as is the need to communicate the status of the ‘lock-out’ and ‘shutdown’ to others in the workplace. This is often a requirement for in-house safety and maintenance procedures so any device which helps the communication process would be beneficial. An effective way of keeping track of personnel who are on site or on shift. The boards are removable so are ideal for a recalls, should the worse happen. Using durable PVC T Cards, different colours can be used to identify key personnel such as fire marshals and first aiders. T Cards Direct making work easier. Making processes better.